The DC Comics hero they call Martian Manhanter has got a date with Injustice. That date falls on July 30. 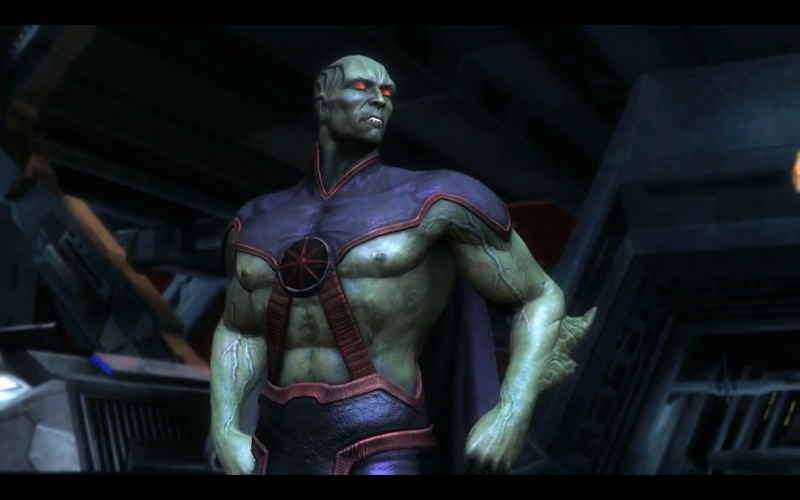 Last week during Evo 2013 finals day, WB Games and NetherRealm announced that Martian Manhunter will be the latest DLC character to join the Injustice: Gods Among Us roster. All that was shown was a trailer. A release date was nowhere to be seen. The official Facebook page of Injustice set out the date for Martian Manhunter's arrival. The character will be available for download on July 30. He will be available on Xbox Live and PSN. No word on when Wii U owners can download the new DLC. There was also no price reveal. If previous DLC characters are any indication, then Martian Manhunter will cost $5 (400 MSP). This character is not part of the Injustice season pass.